100% drug free wearable technology for widespread relief from chronic pain. 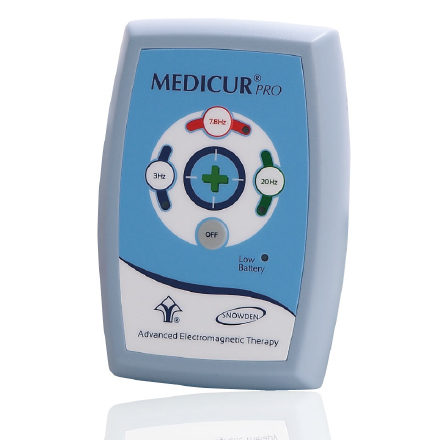 Medicur Pro Personal pain relief technology delivers natural widespread relief from chronic pain at the touch of a button! 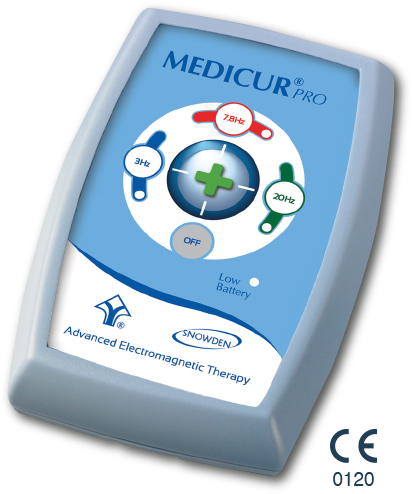 Medicur Pro is a Class lla Medical device for drug-free pain relief. This personal pain relief device has been designed to reduce the pain associated with conditions such as osteoarthritis, rheumatoid arthritis and back pain. It is primarily intended for unsupervised self-treatment by the patient in a home setting. Based on the long-established science of pulsed electro magnetic field therapy (PEMF), Medicur Pro actively creates complex electromagnetic fields that act at a cellular level within the body to reduce pain. 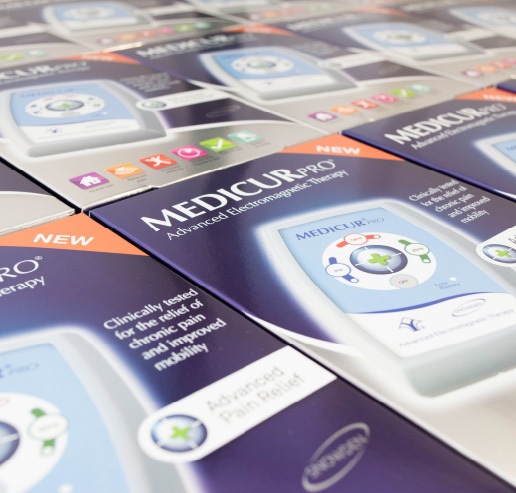 The Medicur Pro device was initially developed to naturally treat patients with chronic pain in NHS hospitals. Its effectiveness and ease of use has made it such a success that Medicur Pro is now used within the NHS pain management service and also available for home use to anyone who suffers from the pain associated with chronic conditions such as arthritis. Medicur Pro is a safe and natural treatment, which can be used on its own to reduce chronic pain and safely alongside medicines without any contraindications. Simply place the Medicur Pro within 30cm of the area you wish to treat. When activated, Medicur Pro provides pain relief by promoting the natural healing process, including the regeneration of bone and tissue. It works by releasing gentle, electro magnetic emissions which penetrate deep into the affected areas. Medicur Pro can also promote the release of beta-endorphins and boost the immune system, thus slowing the progression of existing disease and helping to prevent the onset of further health disorders. Scientifically proven to be a valuable healing aid, PEMF can combat and prevent a whole range of health problems. Having no leads or complicated settings it fits snugly in the hand allowing the user to take it wherever he or she wishes to travel. Medicur Pro can be used 3 times a day for 10 minutes each treatment. Results are expected in just 2 - 6 weeks. Users can continue to use Medicur Pro for a lifetime to manage re-occuring or new chronic conditions. Medicur Pro has undergone a double-blind placebo controlled study to assess the benefits of electromagnetic pulse treatment for osteoarthritis of the knee. The study was carried out over a six week period at the King’s College London. 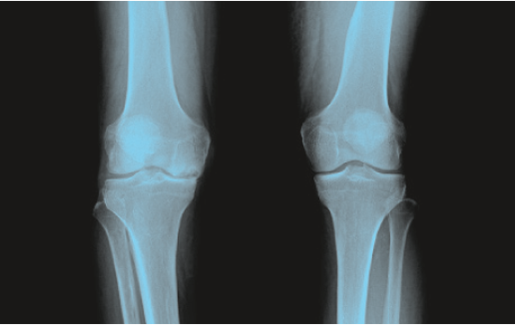 Patients with radiographic evidence and symptoms of osteoarthritis were recruited from a single tertiary referral centre. 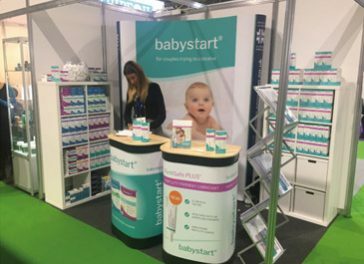 75 patients fulfilling the above criteria were randomised to receive active PEMF treatment by Medicur Pro or a placebo. The primary outcome measure was a reduction in overall pain assessed on a four point Likert scale ranging from nil to severe. 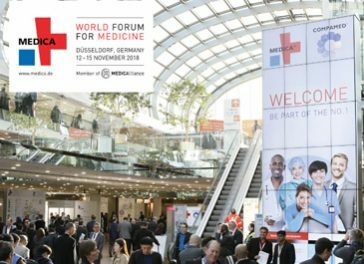 Paired analysis of the follow-up observations on each patient showed significant improvements in the actively treated group in the WOMAC global score (p=0.018). WOMAC pain score (p=0.065), WOMAC disability score (p=0.019) and EuroQol score (p=0.001) at study end compared to baseline. These results suggest that Medicur Pro uni polar magnetic devices are beneficial in reducing pain and disability in patients with Knee Osteoarthritis resistant to conventional treatment in the absence of significant side-effects”. After the positive findings by the King’s College Hospital, Medicur was used and studied within a NHS Chronic Pain Relief Service. A 4-year trial on the effectiveness of Medicur in pain relief showed that patients found Medicur to be effective, with some patients reporting Medicur to be extremely effective in reducing pain. See bar chart below. Our results show that medicur can be a cost effective, user friendly method of self managed chronic pain relief. Osteoarthritis affects different joints in some 80 percent of people ages over 75, with the knee joints showing evidence of damage in the majority. Most sufferers require medication with pain killers or regular treatment with NSAIDs (non-steroidal anti-inflammatory drugs) but these may cause unacceptable side effects. Physical agents such as heat, cold, strapping and electrical devices are used with varying benefit. Low frequency pulsed electromagnetic radiation (PEMF) has been used for many years to control pain and there is experimental evidence that it has beneficial effects on some cells involved in joints. A double-blind controlled trial in patients with knee arthritis at the Rheumatology department at King’s College Hospital, London, used Medicur, a PEMF device, for the treated group and an identical looking but inactive machine for the others. This small device has an automatic timer and can even treat both knees at once as the magnetic radiations penetrate up to 30cm. It is held in place with an easily applied velcro strap, and an internal battery means there are no trailing wires. Neither staff nor any of the 69 patients taking part, 34 treated and 35 using the dummy device, were aware of their treatment group. When the code was broken after the year long study there was a statistically significant benefit in reduction of pain and disability in those using the active Medicur. Unipolar magnetism certainly helps to relieve pain and may have other beneficial effects. 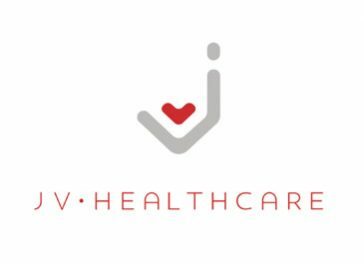 It is officially approved in the USA for example for helping delayed healing of bone fractures. What conditions has PEMF had success with? Many people have reported that PEMF has successfully treated the pain of all types of arthritis, back pain, osteoporosis, rheumatism, shingles, neuralgia, migrain and headaches, aching muscles and stiff joints, chronic fatigue and M.S. Medicur therapy is also used for the treatment of stress, tension, depression and insomnia. What other benefits will the user get from the Medicur Pro unit? As well as providing pain relief and promoting the healingprocess, there is evidence that PEMF has the additional benefits of boosting the immune system, improving circulation, restoring sleep patterns, boosting energy levels and giving a general feeling of well-being. Can Medicur Pro be used anywhere on the body? Yes. Medicur Pro is perfectly safe to use anywhere on the body and is safe to use with replacement joints or implants. How long has Medicur Pro therapy been used? Medicur Pro has successfully used for over 25 years, during which time it has undergone considerable clinical evaluation. When can the user expect relief? Many people experience benefits very quickly and full benefits can be noticed by 4 to 6 weeks. What will the user feel? Most people will not feel any sensation when using Medicur Pro.